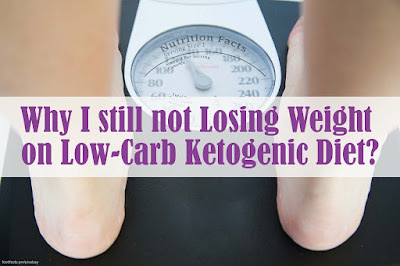 Home / Health / Why I still not Losing Weight on Low-Carb Ketogenic Diet? Why I still not Losing Weight on Low-Carb Ketogenic Diet? The low-carb ketogenic diet, or more commonly called keto, is one of several types of diets that are believed to be effective for losing weight in a short time. Unfortunately, not all people have successfully implemented this diet. Not even a few who complained of having difficulty losing weight even though they had been desperately undergoing the keto diet. Keto diet is a diet method that focuses on a low carbohydrate diet with high fat. There are various benefits of the keto diet, one of which is proven to be able to nourish the heart while helping to control blood sugar levels. However, you are required to strictly adhere to the rules of the keto diet for optimal results. If not, you will find it hard to lose weight and fail in the keto diet. Now try checking again, have you ever done one or more of the following? Eating too much carbohydrate sources. The main reason why you find it hard to lose weight even you have a regular keto diet can be because you are not narrowing the portion to eating carbohydrate sources. In fact, one of the main keys to this diet lies in reduced carbohydrate intake. Naturally, if sometimes you still find it difficult to narrow the source of carbohydrates so that you don't control your daily food portion. However, if allowed to continue it can actually make it difficult to lose weight or even return the needle to the original number. Not only applies to the keto diet, but any type of diet also requires you to pay attention to daily food sources. Make sure you already have reached high nutritious food intake. It is best not to rely solely on processed food even it is allowable in the keto diet. Take, for example, eating sweets, corned beef, sausages, and other fast foods. All of these foods can thwart your weight loss efforts because they contain enough calories in them, even though they are low in vitamins and minerals. If you want optimal results, try consuming whole foods including milk, eggs, fish, chicken, and healthy fats. Don't forget to add a variety of vegetables to your dinner plate to meet your nutritional and fiber needs. 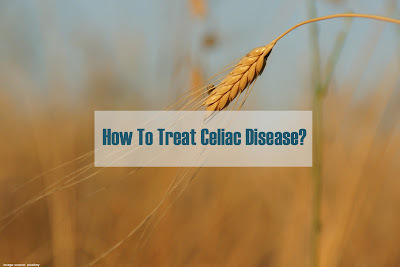 There are times when it is difficult to lose weight when the keto diet is not only caused by choosing the wrong type of food, it could be because you have an illness, such as PCOS (Polycystic ovary syndrome), major depression, hypothyroidism (thyroid hormone deficiency), Cushing's syndrome (elevated cortisol hormone levels), and hyperinsulinemia (high insulin levels). Those are some of the medical conditions that make it difficult for you to lose weight as much as possible keto diet rules. The solutions include discipline to maintain health, live a healthy lifestyle, and treat according to the type of disease. Consult further with your doctor if your condition does not improve. A study from Current Obesity Reports found that stress, especially those classified as chronic, can adversely affect the weight loss process. Because the body that is under pressure will produce a lot of the hormone cortisol or stress hormones, which will make the body save enough fat. Furthermore, people who experience stress are also often insomnia, which then associates with weight gain. On the other hand, less optimal sleep can interfere with the work of hormones that regulate hunger, such as leptin and ghrelin, eventually, your appetite tends to increase. A diet is not just limiting some food sources. You are also encouraged to balance with regular exercise. In addition to accelerating fat loss in the body, there still a myriad of good benefits from sports that you can get. For example, accelerating the body's metabolism, and reduce the risk of developing chronic diseases. Often snacking on high-calorie foods. Many people think that snacking is predicted as an effective way to prevent hunger. However, be careful because you eat too many high-calorie snacks such as peanuts, peanut butter, cheese, and so on. It can disrupt your effort to lose weight. Even though you eat this snack in moderate amounts, it never hurts to choose a low-calorie snack, especially if you are among those who can snack more than once a day. Wanting to lose weight drastically. It's normal if you want to lose weight quickly. However, remember that weight loss is not always the same for everyone. In other words, there are people with bodily conditions that support short weight loss, or some must struggle hard before gaining dream weight. The key always is consistent to obey the rules of your low-carb ketogenic diet. Slowly but surely, the weight will gradually drop.